Ansar Ali earned just 11,000 taka – about $130 U.S. dollars – from eggplant he grew last year in Bangladesh. This year, after planting Bt eggplant, he brought home more than double that amount, 27,000 taka. It's a life-changing improvement for a subsistence farmer like Ali. 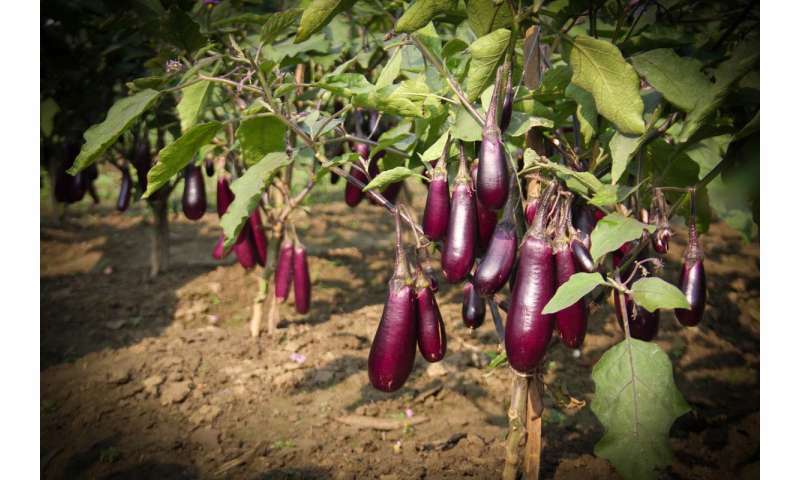 Bt eggplant, or brinjal as it's known in Bangladesh, is the first genetically engineered food crop to be successfully introduced in South Asia. Bt brinjal is helping some of the world's poorest farmers to feed their families and communities, improve profits and dramatically reduce pesticide use. That's according to Tony Shelton, Cornell professor of entomology and director of the Bt brinjal project funded by the United States Agency for International Development (USAID). Shelton and Jahangir Hossain, the country coordinator for the project in Bangladesh, lead the Cornell initiative to get these seeds into the hands of the small-scale, resource-poor farmers who grow a crop consumed daily by millions of Bangladeshis. "Farmers growing Bt brinjal in Bangladesh are seeing three times the production of other brinjal varieties, at half the production cost, and are getting better prices at the market," Hossain said. "It's terrible for these farmers' health and the health of the environment to spray so much," said Shelton, who found that pesticide use on Bt eggplant was reduced as much as 92 percent in commercial Bt brinjal plantings. "Bt brinjal is a solution that's really making a difference in people's lives." "I sprayed pesticides several times in a week," he said. "I got sick many times during the spray." 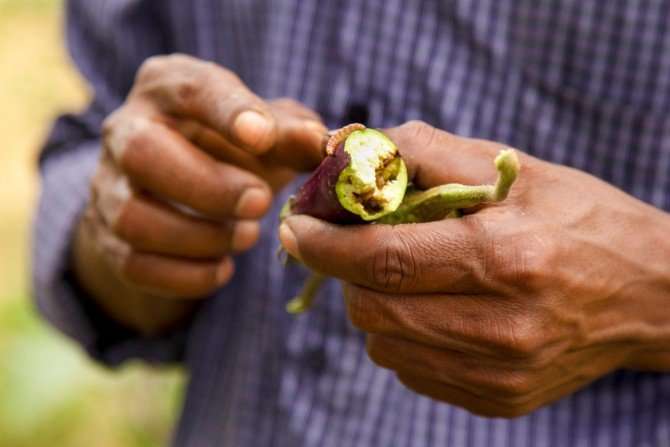 "Farmers who plant Bt brinjal are required to plant a small perimeter of traditional brinjal around the Bt variety; research has shown that the insects will infest plants in the buffer area, and this will slow their evolutionary development of resistance to the Bt plants," Shelton said. In a March 2017 workshop, Bangladeshi Agriculture Minister Begum Matia Chowdhury called Bt brinjal "a success story of local and foreign collaboration." "We will be guided by the science-based information, not by the nonscientific whispering of a section of people," Chowdhury said. "As human beings, it is our moral obligation that all people in our country should get food and not go to bed on an empty stomach. Biotechnology can play an important role in this effect."